CultLab3D | CultLab3D at photokina in Cologne! 29 Sep CultLab3D at photokina in Cologne! From 26-29 September, CultLab3D will be at photokina, the leading international trade fair for the entire photo, video and imaging sector. We exhibit our unique, autonomous and color-calibrated scanning arm CultArm3D-P with the new Phase One camera! 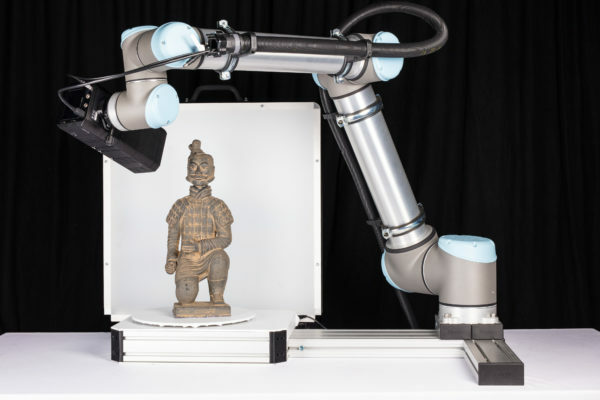 Based on photogrammetry, the scanner captures geometry and texture of unknown objects. It distinguishes itself from conventional scanners with high-resolution results and independent view planning. This approach allows the system to scan unknown objects autonomously and quickly. If you want to check out the high-resolution results, come and visit us in Hall 2.1, Booth C11/D12.